"I've been part of the Great Taste Awards judging for a few years now and I know how exacting and scrupulous the process is. Any food that has won a Great Taste Gold is officially delicious. It's as simple as that" Lucas Hollweg, Sunday Times. 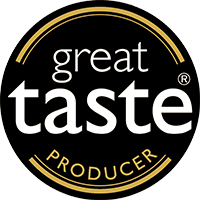 The Great Taste Awards, organised by the Guild of Fine Foods in UK, is the acknowledged benchmark for specialty food and drink. It has been described as the ‘Oscars’ of the food world and the ‘epicurean equivalent of the Booker prize’. 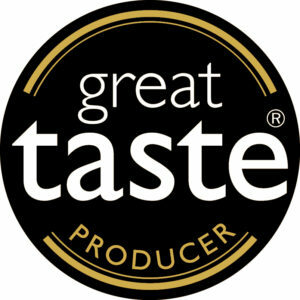 Quite simply the Great taste Awards logo is the sign you can trust when buying food and drink in your local, quality retailer. Winning is important to the producers as it differentiates their products from the norm and means you, as the consumer, have a guarantee that the products you buy have a reliable seal of approval based upon great taste and not marketing.